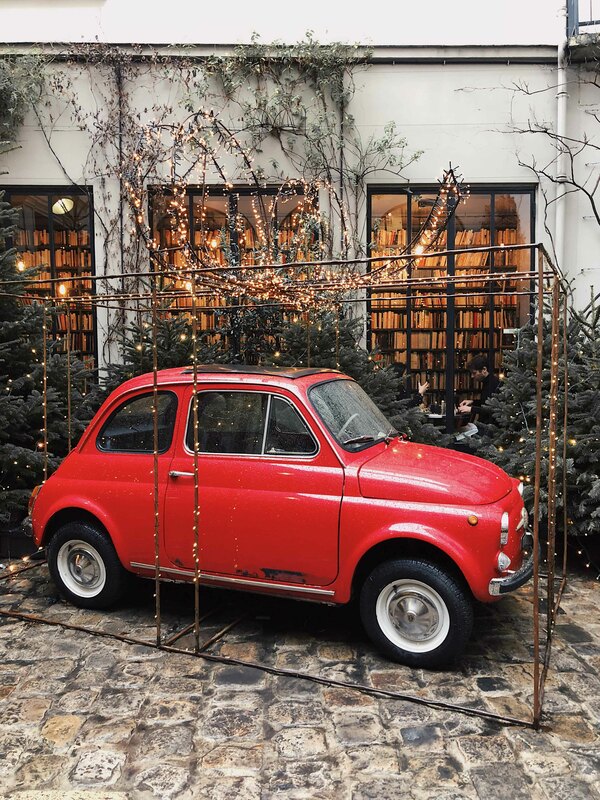 Parisian escape: favorite shopping addresses in Le Marais and Haut-Marais + a true gem 5-star hotel in Paris by Julia Comil, a fashion insider. 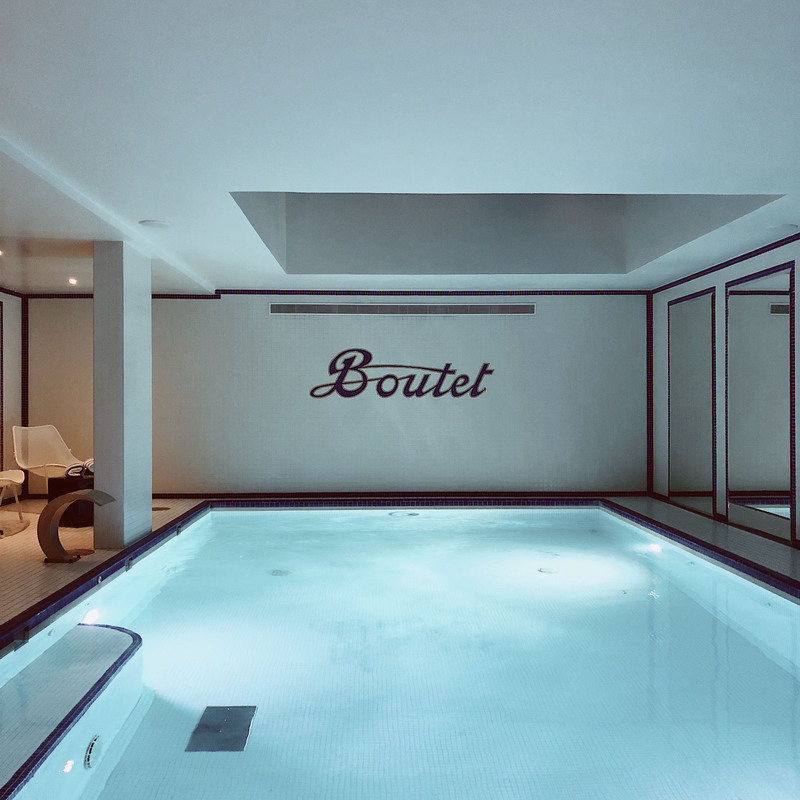 During my last visit to Paris, I stayed at Hotel Boutet, a newly renovated luxury hotel. Located in the heart of the authentic Bastille area, close to Le Marais, this new 5-star hotel is housed in a building steeped in history: the Maison Boutet. Once an importer of exotic wood then a chocolate factory, the building retains its historical charm. 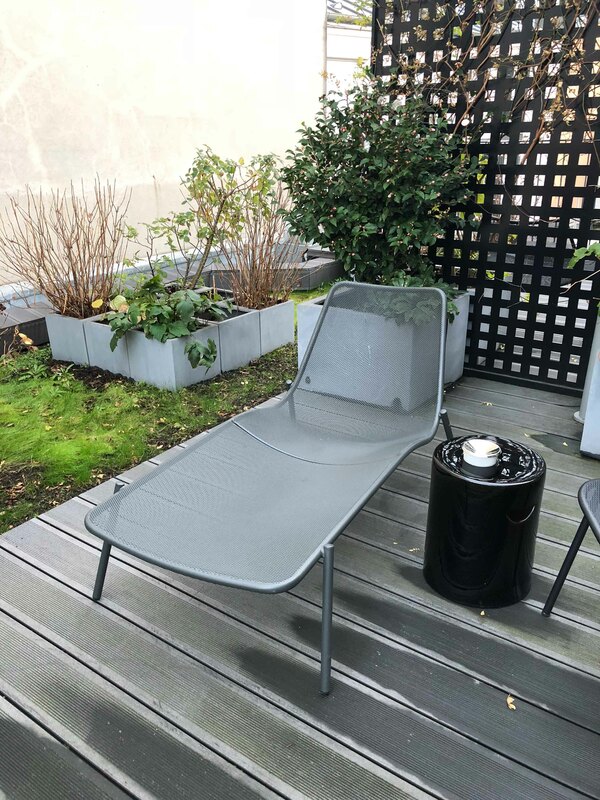 I have mainly chosen this hotel for its location (I love Le Marais) and because it has a SPA (with 2 treatment cubicles, a pool, sauna, hammam and fitness room). There is no restaurant inside the hotel but they serve a delicious breakfast and have a bar. I also loved my room and its big terrace (only 8 rooms come with a terrace, ask for it). Also, unlike most 5-star hotels in Paris, le Boutet remains affordable. Near the hotel, you have some brasseries, bakeries, a supermarket, and even a trendy juice store. When I am in Paris, I mostly use the subway (I only take Uber late at night). The Faidherbe subway station (line 8) and Charonne subway station (line 9) are very close to the Hotel. Both lines are pretty convenient to explore Paris. You can download the app City Mapper to know how you can go from one place to another while using the subway. I used it non-stop while in Paris! 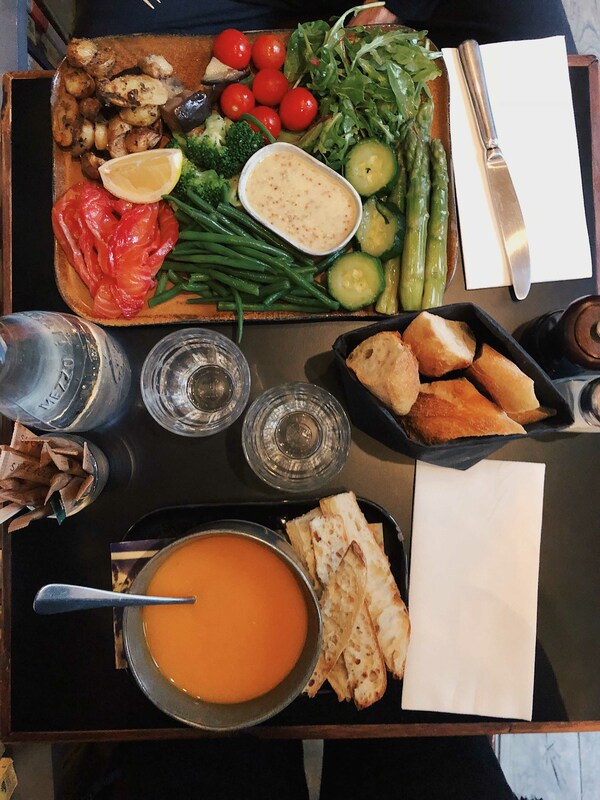 Staying at the Hotel Boutet, allowed me to explore my favorite places in Paris: Le Marais and Le Haut-Marais! Read below my favorite shopping walk in Le Marais and Haut-Marais and my favorite Parisian addresses. 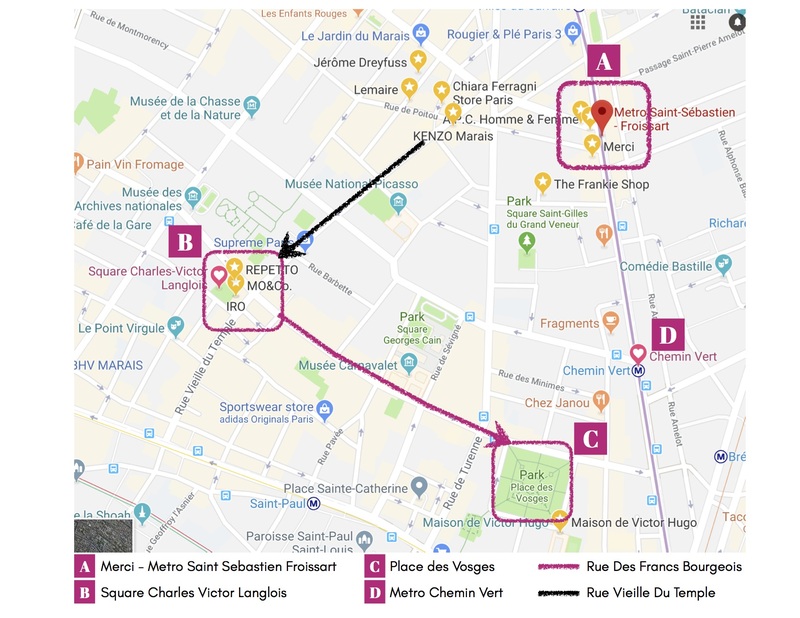 How to go there from Hotel Boutet: Take the subway at Faidherbe – line 8 direction Balard and stop at Saint Sebastien Froissart (4th stop. It takes 1 min per stop). 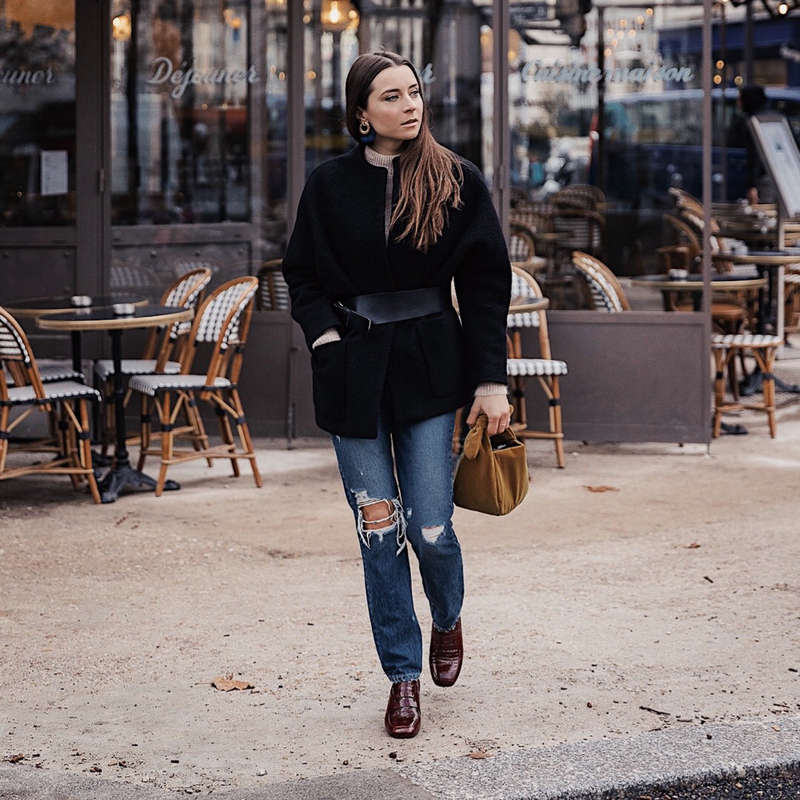 Why Le Haut-Marais: as a fashion blogger, I love this district as you have the trendiest designers and coolest restaurants. 1. Start your walk at Merci – Concept Store. Merci is an absolute must on Paris for its furniture, clothes, accessories, and gifts. Plus the restaurant and the bookstore cafe are definitely delicious and a great place to enjoy your meal. 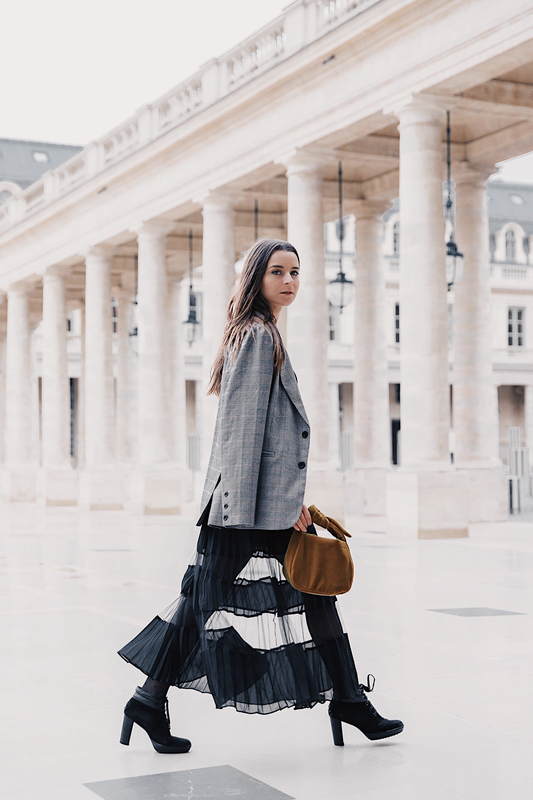 Near Merci you will find The Frankie Shop (a must-have of new emerging designers), Acne Studio, Apc, Oh My Cream (for high end and non-toxic cosmetics), Le Maire, Chiara Feragni, Kenzo, Jerome Dreyfus, etc.). 2. Then you can take Rue Vieille Du Temple and walk to Square Charles-Victor Langlois. You will find famous and emerging fashion stores (Iro, Mo&Co, Repetto, Elleme and so much more). In this area, most of the stores are opened on Sunday. 3. Then you can walk on Rue des Francs Bourgeois (there are lot of shops in this street) to reach the beautiful and historic royal square: Place des Vosges. The place also hosted the home of the famous French novelist Victor Hugo (“Les Misérables”). 4. You can come back to the Hotel Boutet by taking the metro station Chemin Vert. And after such a long walk, feel free to relax at the swimming pool and hammam! 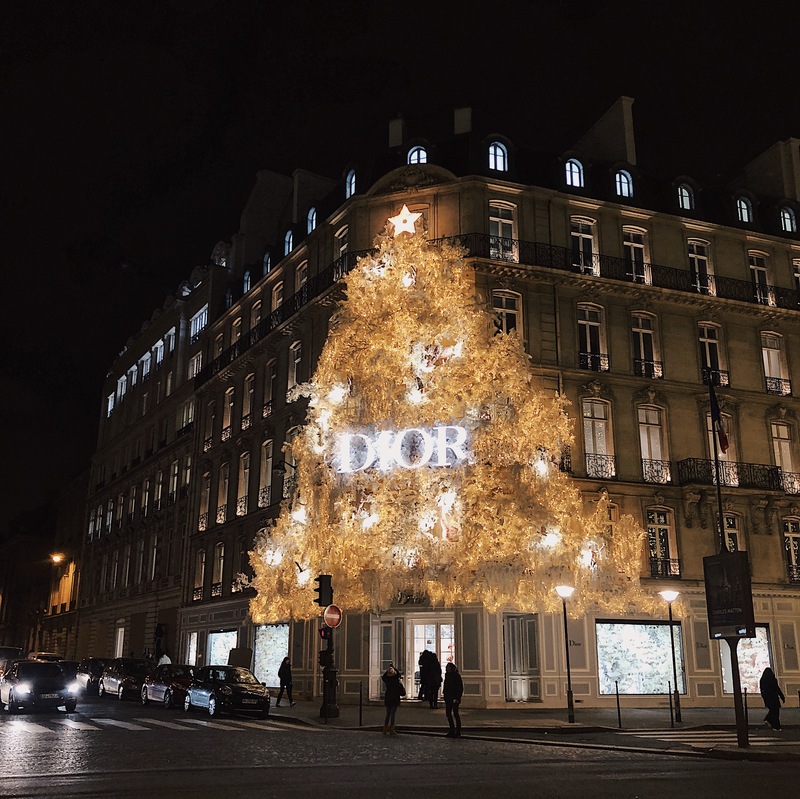 Must-see: Dior Flagship and Montaigne Market (the luxury concept store). Where to eat: Maison Blanche. One of my favorite Parisian restaurants with a view on the Eiffel Tower. Brunch? at Terass‘ and then walk in Montmartre, Quartier des Abesses and see The Sacré Coeur. Drink? Hotel Crillon or Hotel National Des Arts et Metiers. Rainy day? Go to the museums: Orsay or Louvre. If there are too many tourists: try the Centre Pompidou (my favorite), or check the latest exhibition at Grand Palais (you will need tickets in advance) or stop at Boulevard Haussmann to shop and eat at Galerie Lafayette and Printemps (metro Auber or Havre Caumartin). Left Bank? Visit the most Parisian department store: Le Bon Marchais with an eclectic selection of luxury and trendy designers. And then go to Cafe De Flore where you may see Karl Lagerfeld! Or go to Le Procope, the oldest cafe in Paris. Le Procope is a place full of history where the greatest writers & intellectuals met. See a stage play? My current favorite play is “Le Porteur D’Histoire” by Alexis Michalik. If you are not a French speaker, you can see “How to become a Parisian in One Hour” a very funny one-man show. Easy Instagram worthy pictures? 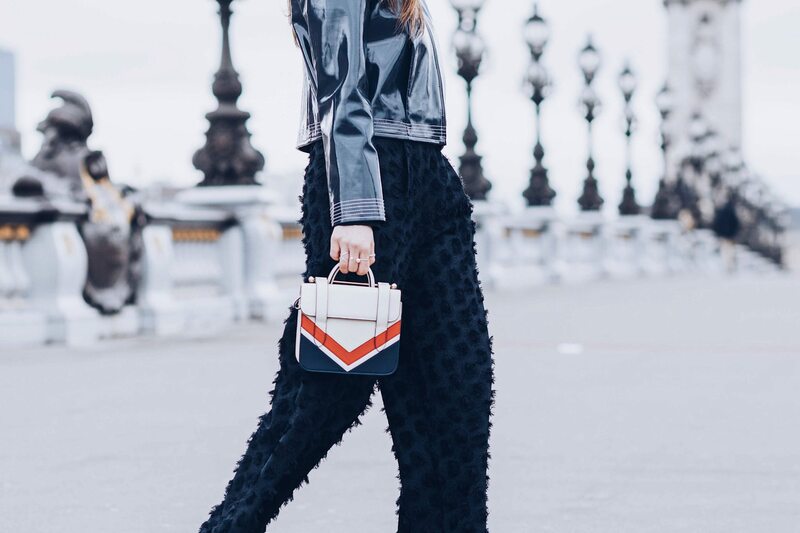 Go to Palais Royal to snap some great pictures and visit Cafe Kitsune which is owned by the trendy Parisian music and fashion label: Maison Kitsune. Disclosure: There are definitely other places to see and to enjoy in Paris. This guide aims to provide a visit of Paris from a fashion standpoint. 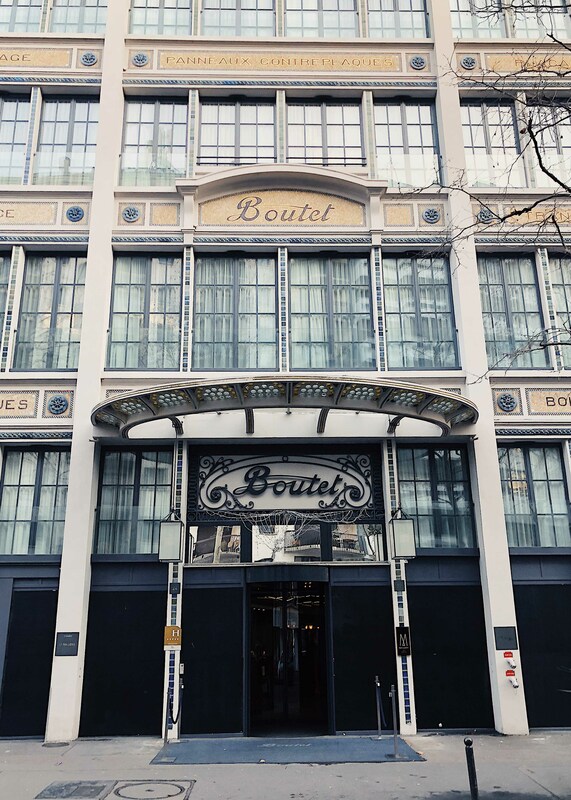 I contacted Hotel Boutet to be hosted at the Hotel for free. I truly believe this Hotel is worth knowing and learning about, hence the blog post! As always, opinions are my own. More about Parisian fashion designers – check out this blog post. Sounds like such a great place to stay at and visit!! Definitely makes me want to book a trip out asap! This makes me want to visit Paris so bad! That hotel looks so perfect for your trip. To say I’m envious would be the ultimate understatement, as visiting Paris is my biggest dream. Someday, I’d love to spend 2 weeks or MORE there and just explore everything. Of course, I’d like to get blog photos, but then I’d want to put away my laptop/camera and just sit at cafes and read and take in the sights aahhh the wanderlust is intense haha! i’ve dreamt of visiting paris since i was super little! i hope i can make it out there soon. your photos are stunning! Paris is definitely a dream come true!! I like the location of that hotel, is basically across of the good stuff!! I am dying to go to Paris! 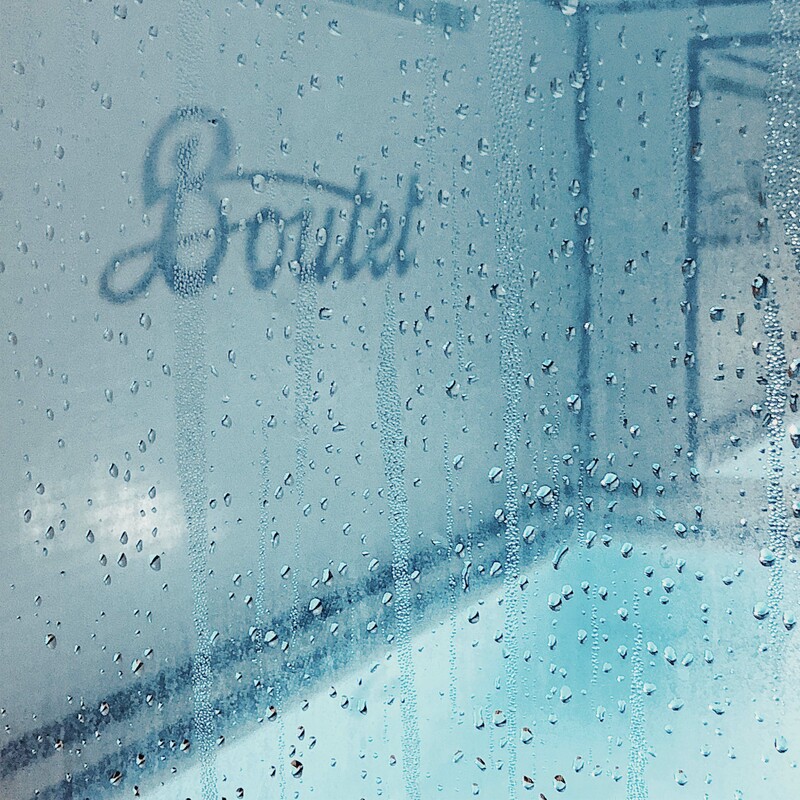 I will definitely be staying at Hotel Boutet when I do go! I love Paris! I’ll have to hit up all these places the next time I’m there! paris has my heart – that city is so historical and full of magic. i love it! I’ve always wanted to visit! This makes me want to go to Paris so bad!